There are an estimated 1.6 billion air conditioning units in the United States. Only 42% of these homeowners get their air conditioning systems serviced regularly. Without proper maintenance, you put your family at risk for black mold related illnesses. 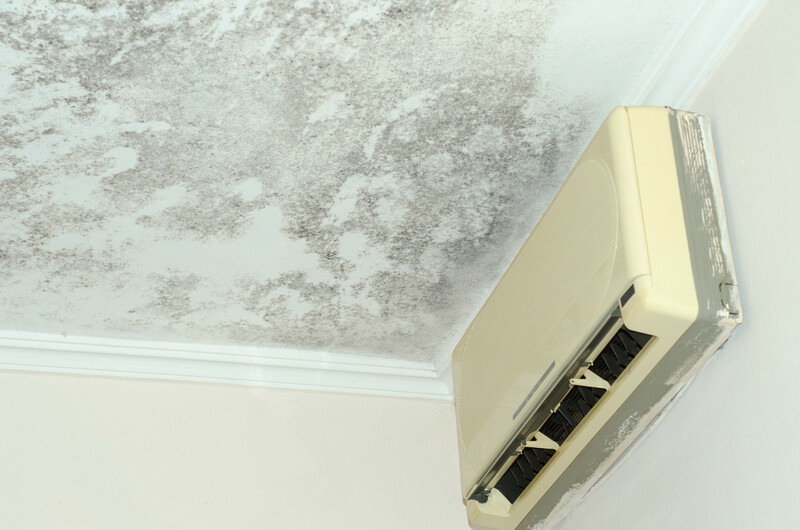 What Causes Black Mold in Air Conditioner Units? An air conditioning system uses evaporator coils. These coils cool the air and remove moisture. The moisture in a well-maintained air conditioner passes through a drain and flows from the unit. Air conditioning systems that have dirty evaporator coils will not drain properly. When this happens, the trapped moisture can begin to grow bacteria and harmful black mold. Sometimes black mold can invade your air ducts. Trapped moisture and higher summertime temperatures create the perfect conditions for black mold. This is a serious problem that needs a trained professional. Once black mold is in your air ducts, it’s very difficult to remove on your own. Hardware stores sell commercially made mold removal kits. There are also many do it yourself mold killing recipes. If the mold has gotten into the air ducts, however, you are better off hiring a professional service. Black mold remediation services involve highly trained technicians. These professionals use specialized equipment, including special respirators and eye protection. They wear hazmat suits to keep the mold off of them as they work. The source of the moisture must be be repaired by an HVAC specialist. The mold remediation team isolates the area. The affected area is misted to control the mold spores during removal. Any porous materials that have evidence of mold are removed and double bagged. If the mold contamination is severe, a HEPA vacuum is used. The team may choose to use a UV light or temperature extremes to kill the black mold. Surfaces are dried using a fan or dehumidifier if necessary. How do I Know I have Black Mold in my Air Ducts? Black mold has a distinctive, musty smell. Besides smelling the mold, you may be able to see it. While not all black mold is toxic mold, it’s best to treat all mold with caution. Preventive maintenance of your HVAC system will lower the risk of black mold in your air ducts. Call a professional to evaluate your system and clean the air ducts. To have R&R Heating take a look at your HVAC system and make sure your ducts are free of toxic black mold, contact us today.